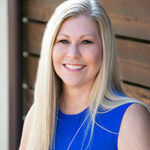 Lori Hagen-Hulitt Promoted to Senior Associate - ID Studios, Inc.
ID Studios is pleased to announce the promotion of Lori Hagen-Hulitt, CID, NCIDQ, to Senior Associate. Lori has worked in the design industry for over 25 years and has been with ID Studios for over 10 years. She has embraced the opportunity to take on a senior leadership position to oversee the smooth operation and profitability of each project. Lori has a BFA in Interior Design from the Design Institute of San Diego as well as a BS in Business Administration from SDSU. She pairs those dual roles of business and design into her drive and dedication for designing and managing her projects. She has extensive experience in Corporate Office, Higher Education, Healthcare and Hospitality design so she’s able to excel at any project that comes her way. Born and raised in the San Diego area, Lori is an avid traveler. She has plans of visiting her 50th country this year, with continuing goals of experiencing the unfamiliar through discovering new places, meeting people and gaining knowledge of other cultures. All of which also informs design in her daily life. The range of her traveling experiences varies widely including visiting every MLB Park, to hiking the Camino de Santiago in Spain, and of course, visiting countless architectural wonders in every locale. Lori’s passion for improving ID Studios’ commitment of bringing the best interior design experience to our clients is laudable and we’re excited to see where she takes this new role.